Before modernization and the development that has been happening to technology, only in written letters can people communicate. It may take time before the letter gets to the hands of the person to whom the letter is intended for. Nowadays, technological advancement are making waves. Technology has helped develop the lives of people and the means and ways that our daily functions must be done. One of the advantages of technology is that it has already allowed us to use new means of communication. E-mails may now be sent so that we can communicate faster. We have Sample Emails that you can take a look at. 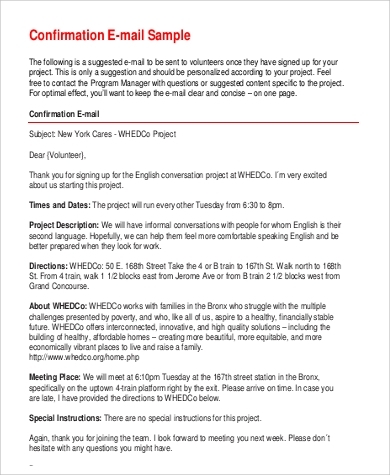 An e-mail message can be used for various purposes. It can be formal or informal. 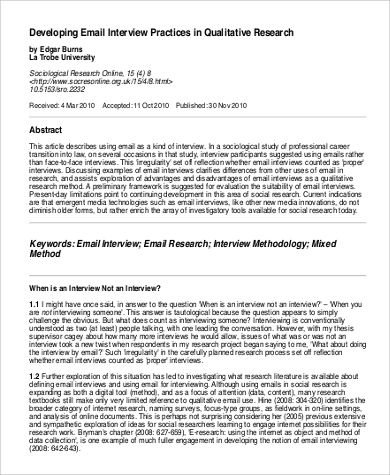 Informal e-mails are used for personal reasons. You can use them just to send messages of regards to your family members. There is no need to follow certain formats when doing so. In business transactions and anything that has to do with professional works though, one must always use formal e-mails. Remember that even if it is just a simple message, the construction must still evoke the sense of professionalism. 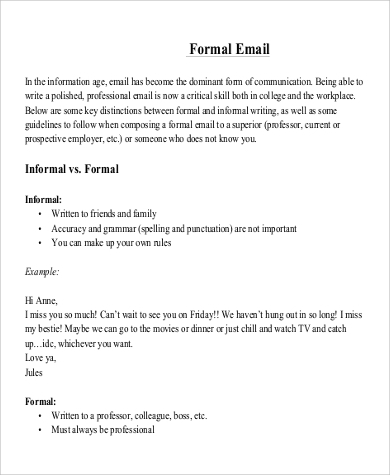 As informal e-mails can be sent to families, relatives, and friends, formal e-mails are directly used to communicate with businesses and companies alike. This needs more careful writing and a review of everything that is written before sending. Applicants can actually send their applications online. They can write their cover letters on the body of the e-mail where their resume is attached. 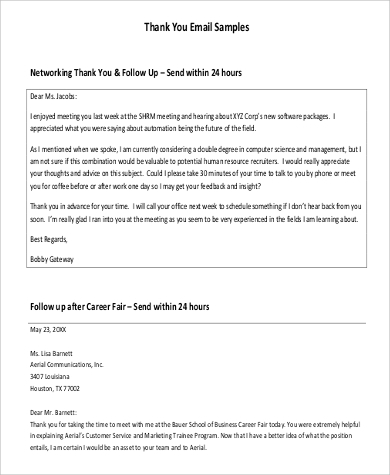 Once interviewed, they can also send thank-you e-mails directly to their prospective employer. 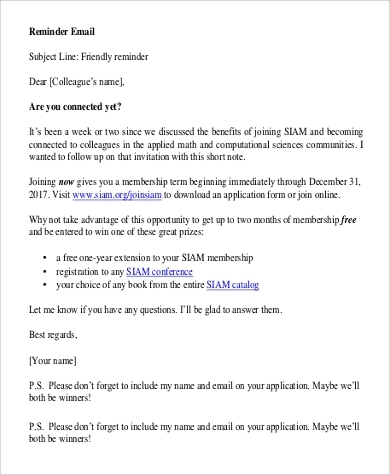 We have Sample Thank You Emails that applicants can take a reference from. Businesses also get advantages in this as they can use the technology to help get more market shares and be able to tap new clients through sending them e-mails. Sample Reminder Emails are available for viewing. Still follow letter formats. It may be an e-mail, but it still must be viewed as if it is written on paper. 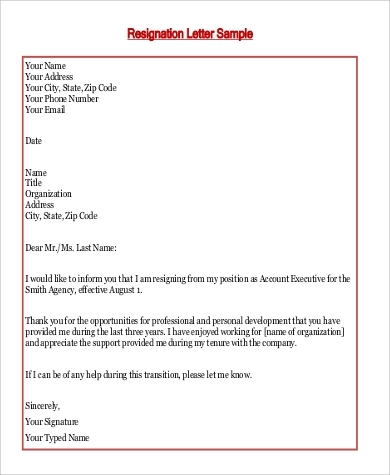 You need to follow letter formats so that it will be easier for the reader to know the intent or purpose of the e-mail being sent to him or her. Make sure that you get the correct e-mail address of the entity to whom you are to send the e-mail. A mistake in spelling or missing even just a letter in the e-mail address can mean that your e-mail will not be sent to the supposed to be receiver. Use formal words. 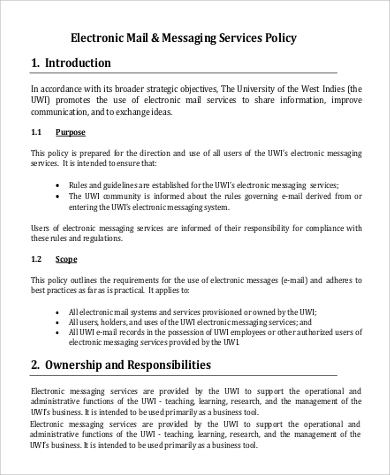 If you are having business transactions or even just professional messages online, make sure that the e-mail that you are sending does not have any obscene words and the likes. Know the main reason why you are writing the e-mail and stick through it. Viewing on computer monitors can be dizzy especially if the thought of an e-mail is not directly relayed. 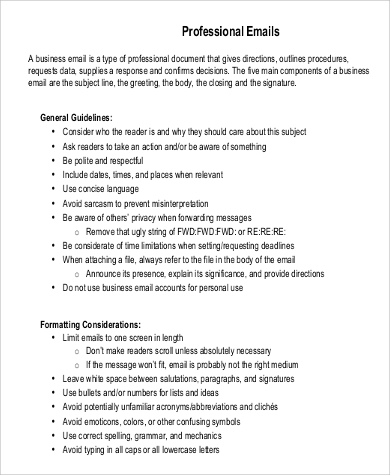 Also, take note of the sizes of computer screens and know whether the e-mail that you have sent is too short or too long to assure that it is visually pleasing. 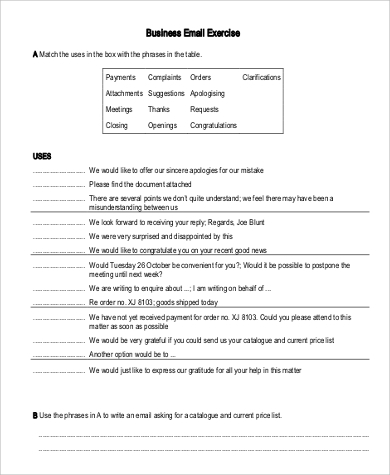 Sample Business Emails are available for viewing and downloading purposes.